With the rapid changes in the world of information technology, your personal computer has become your next best partner and their safeguarding and ensuring its properly secured is one thing which should be on top your priority. 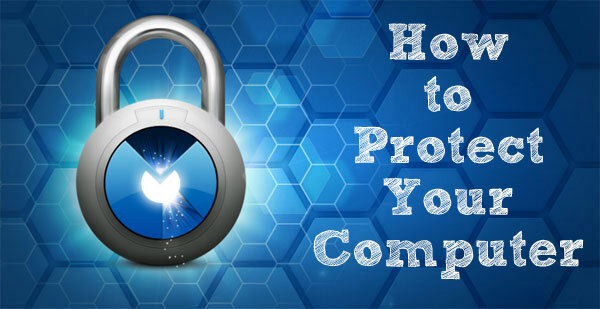 Additionally, with the increasing rates of cyber crime targeting individual data theft and small upcoming enterprises as well as big organizations and industries, it is always wise to be on the safe side and protect you pc at all cost by employing the various appropriate means and measures which will go a long way in ensuring that its safe and secure. You need to be aware of the various mechanisms which will guarantee this safety and protect your personal data and pc at the same time. While it is easy to fall victim to online security threats if you are not careful enough, there is no reason to raise alarms if you follow standard security practices. You should also be careful of overdoing the security bit as you can block some useful software, like Stealthmate. However, being on the cautious belt never hurts anyone, and with what the today’s cyberworld is going through we would say it is warranted. Here is a few of these steps which you can follow to secure your pc. You should always access your pc using a comprehensive password which is free from being hacked or cracked. There are various ways of coming up with secure passwords which will ensure that your pc is securely protected and free from access from unauthorized users or persons. You can also provide passwords to accessing some of your important files and documents ensuring that they are subject to editing, deletion or manipulation by malicious persons. Installation of some of software which are not genuine poses a security threat to your pc and therefore it is always advisable to acquire and install software only from authorized and legitimate vendors to avoid malware which may damage your pc. Keeping your pc up to date through the automatic windows update and installation of new updates available ensures that your pc’s performances is not compromised and always remain at par with your requirements. Installing new versions of certain software too will help in promoting the performance and avoid corruption of the older versions of the same. Accessing internet while browsing may have some risks to your pc and therefore using safer browsers while on net will go a long way in securing your pc for example Firefox because its open and monitored throughout guarantees some of level of pc security. Supply your pc with a comprehensive and effective antivirus software program which will scan and guard your pc against viruses and other malicious programs. Various antivirus programs exist such as Avast, Norton, windows defender among others. Some are opens use and are freely available. Always ensure the recommended settings for the windows defender of your pc are turned on as it scans, detects and removes any form of malicious software which appears suspicious and threat to your pc. It checks for consistency and proper running of the various operating systems such a windows server 2003, windows XP, windows vista and removes any malicious software which may be installed or running in your pc. Windows security center of your pc puts the security needs in one access point for easy monitoring in case of security threat or update required. The information is really good and must be implemented to protect the PC from any inadvertent cyber. Keeping your software and windows firewall update are the best practices.